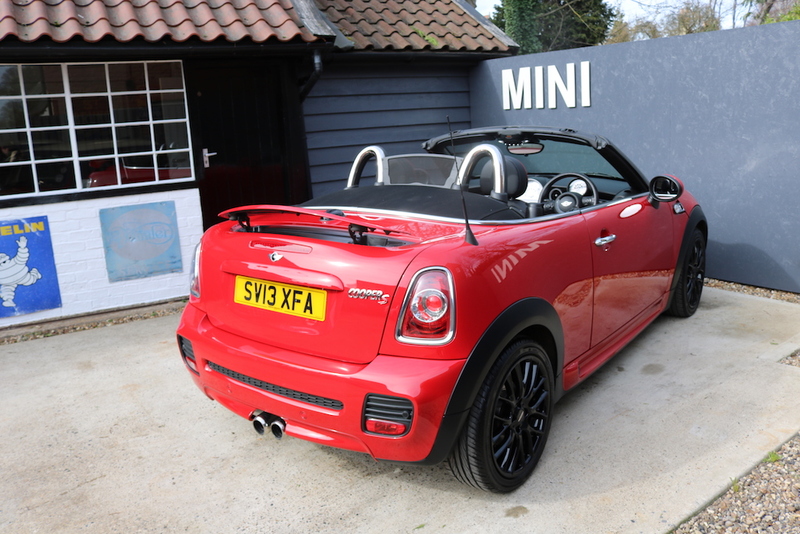 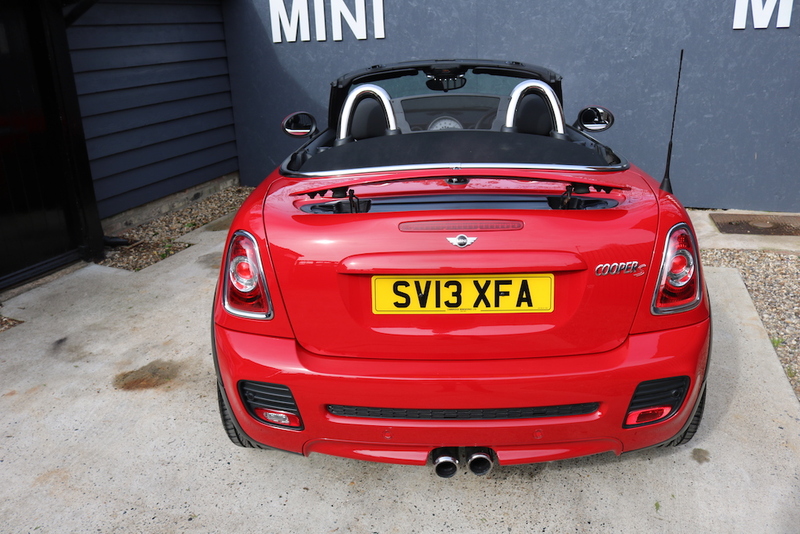 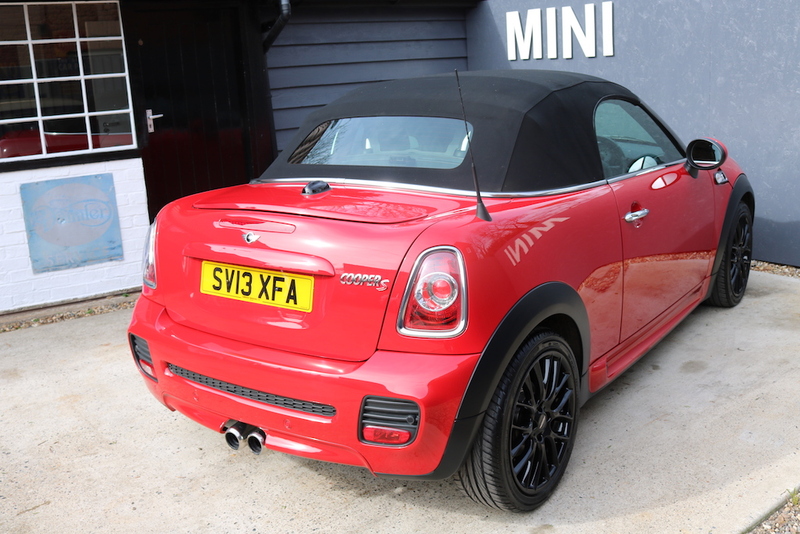 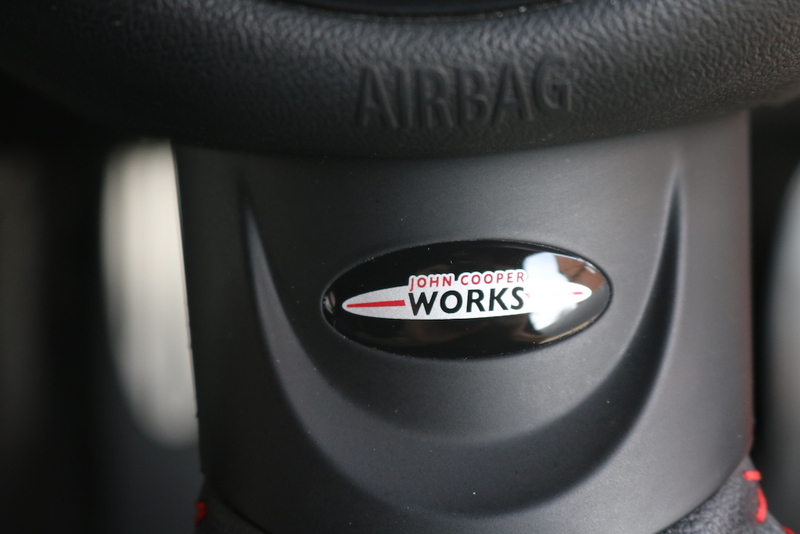 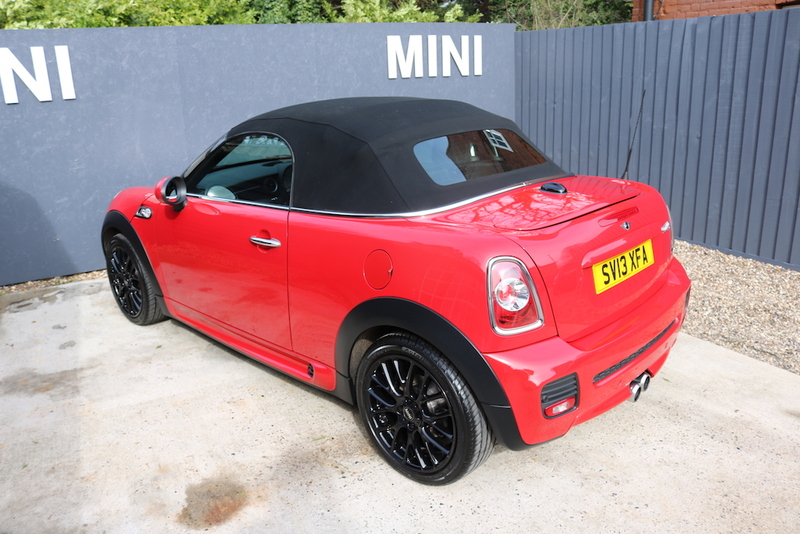 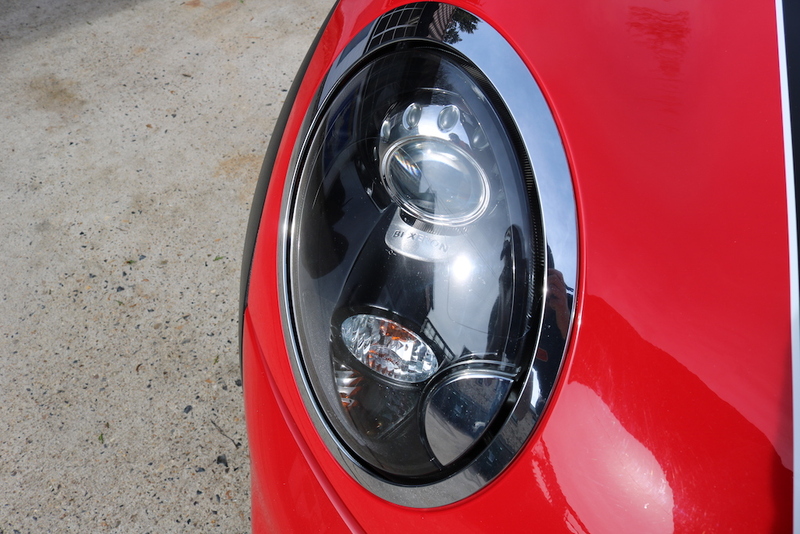 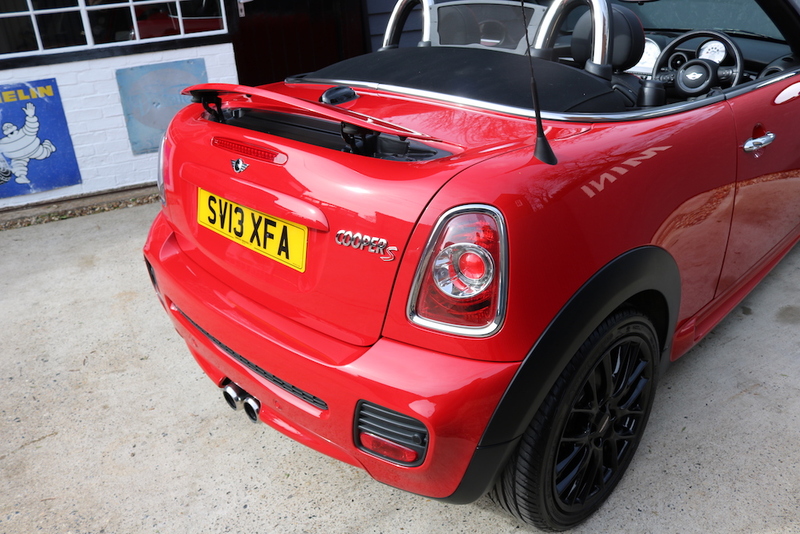 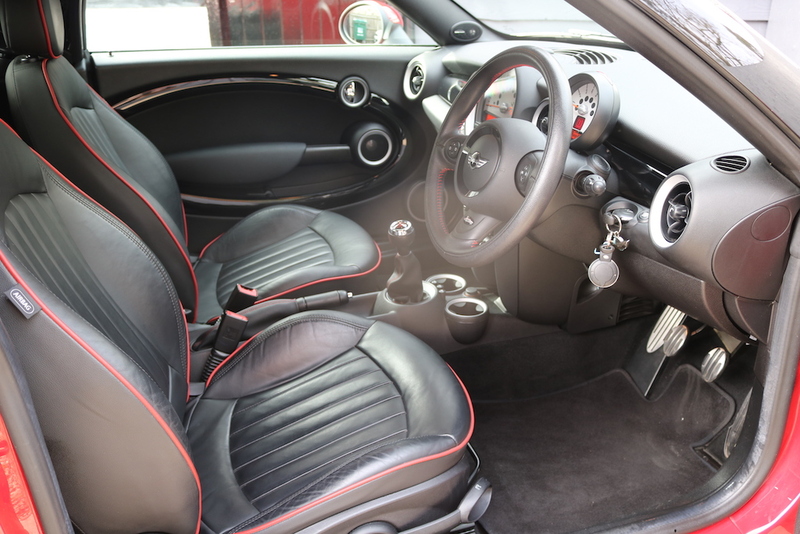 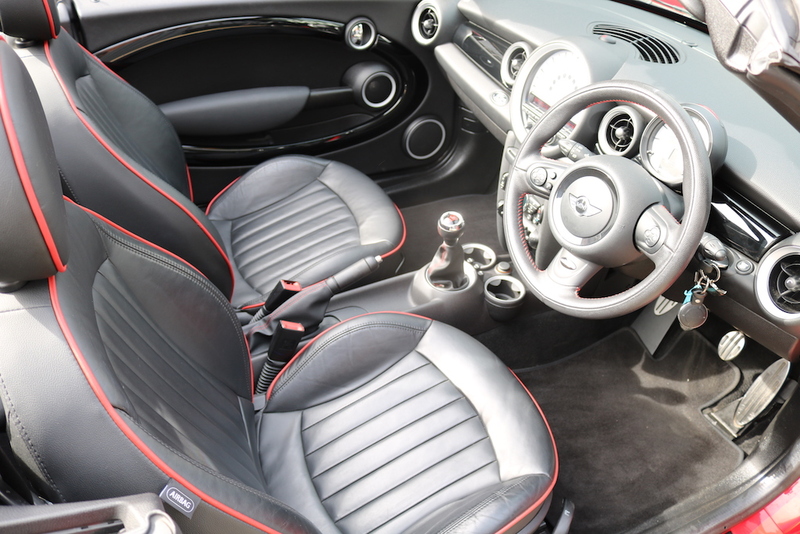 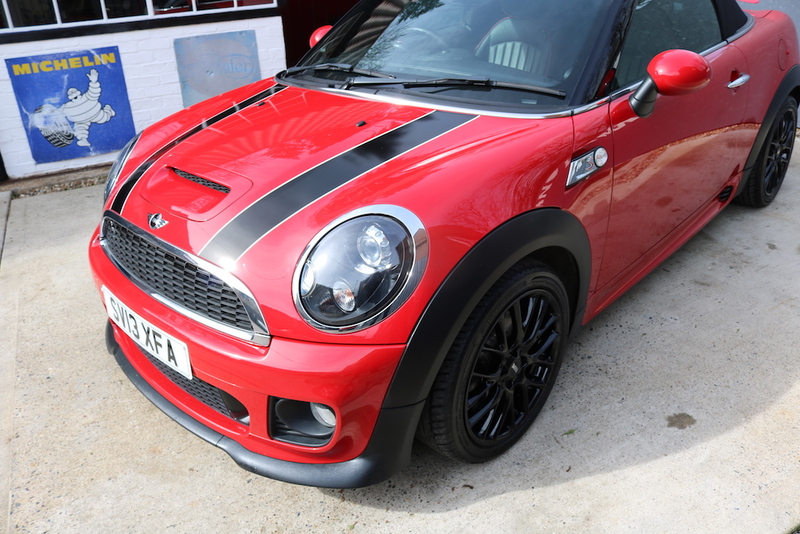 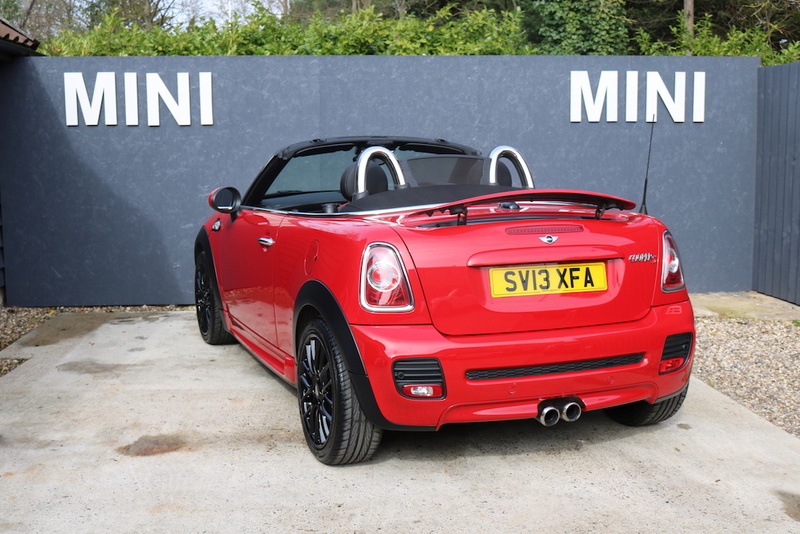 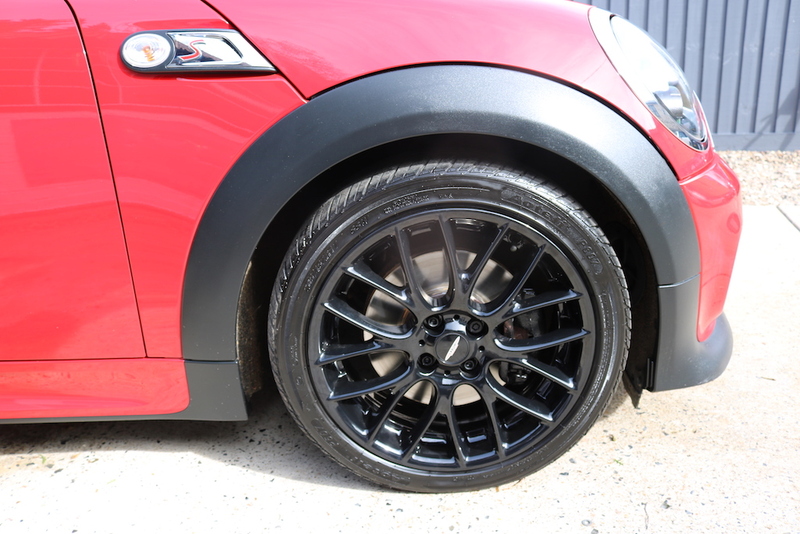 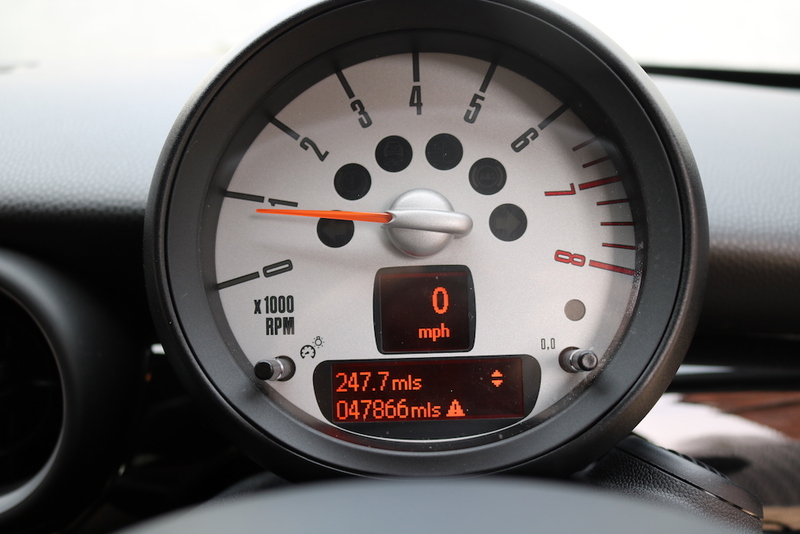 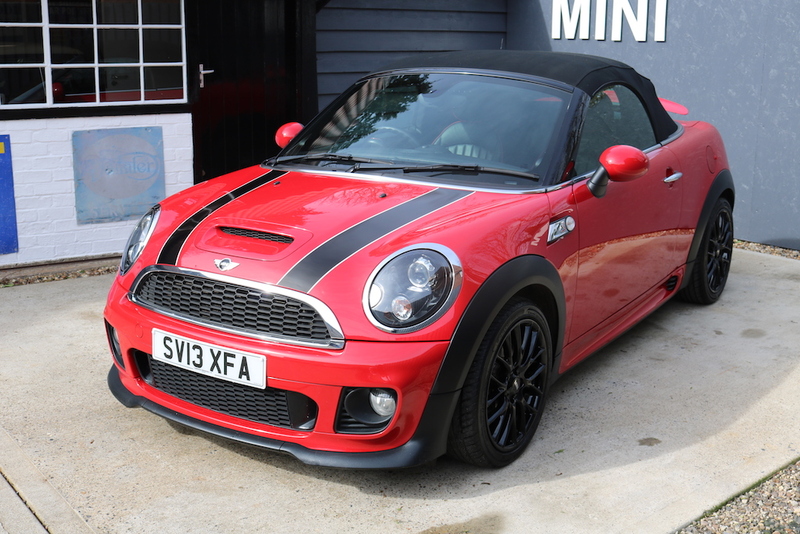 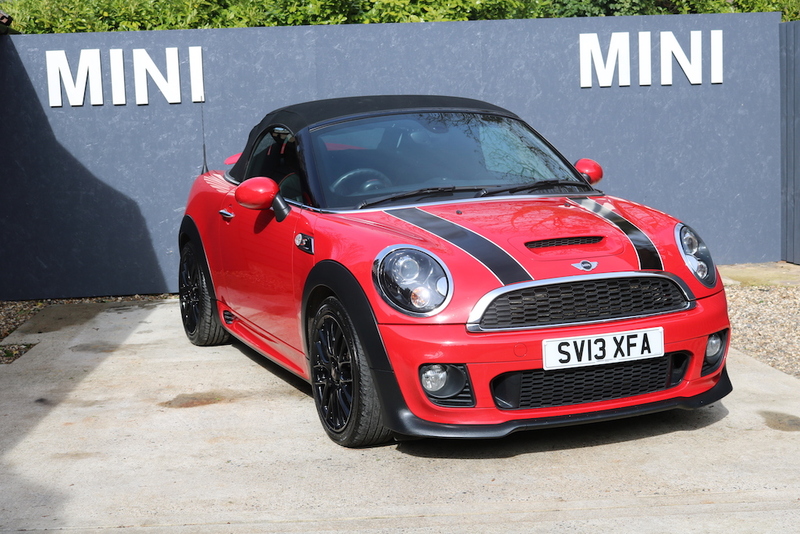 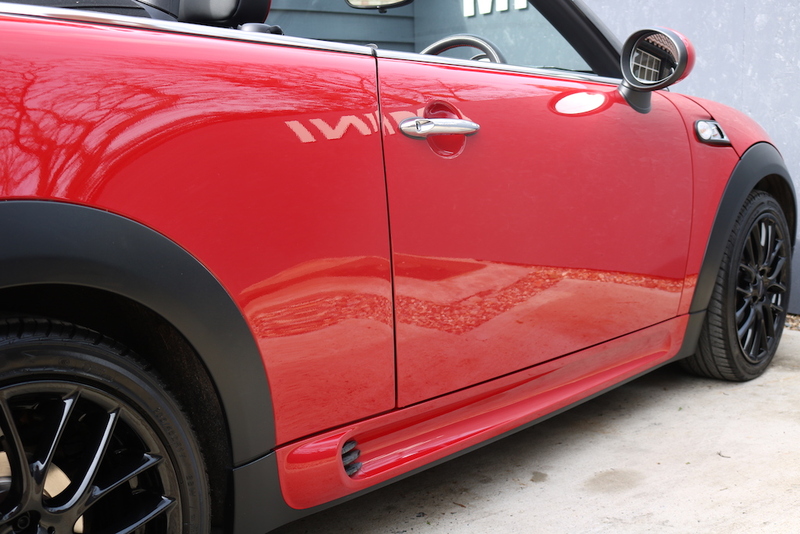 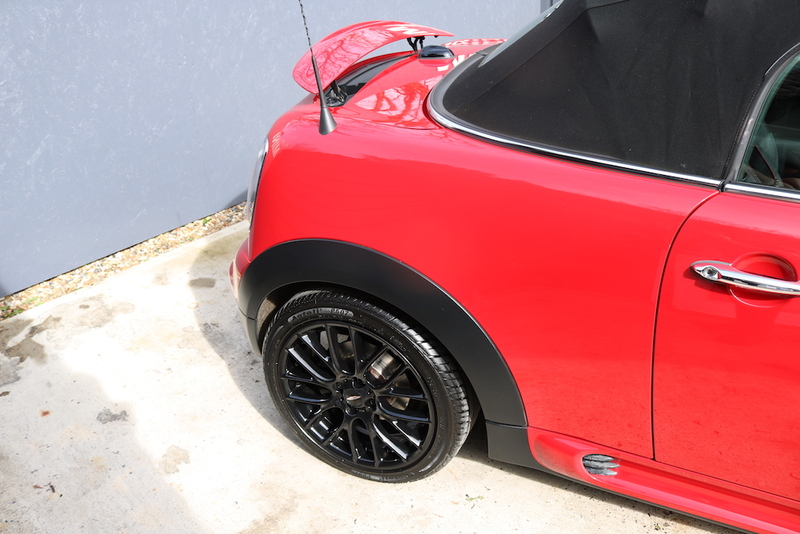 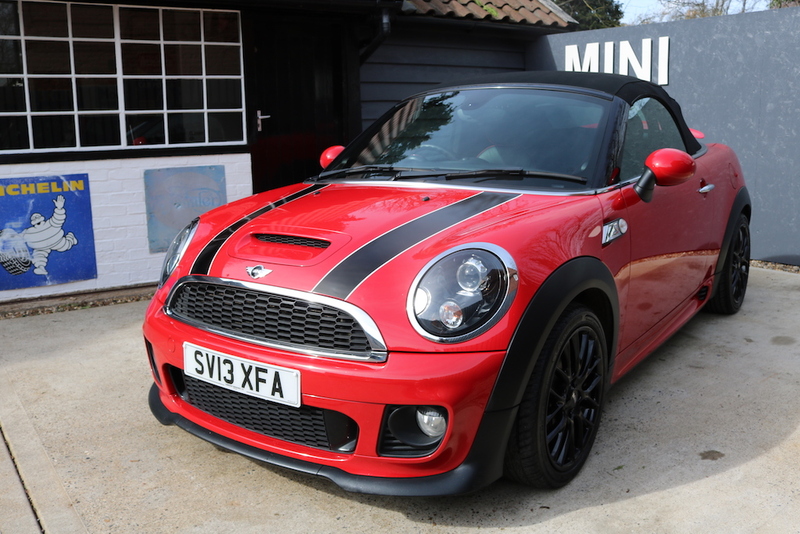 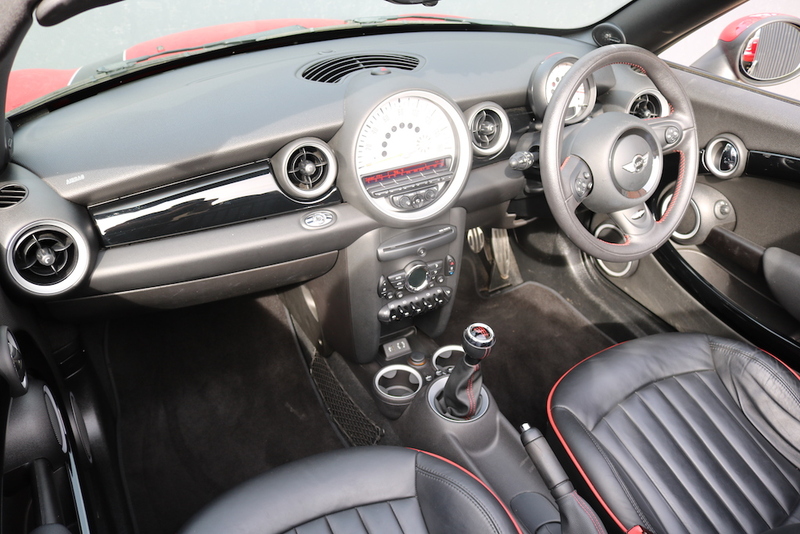 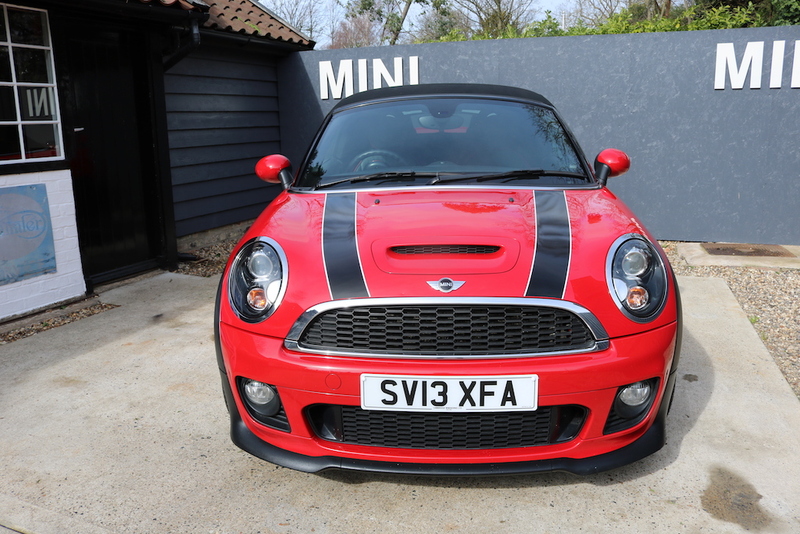 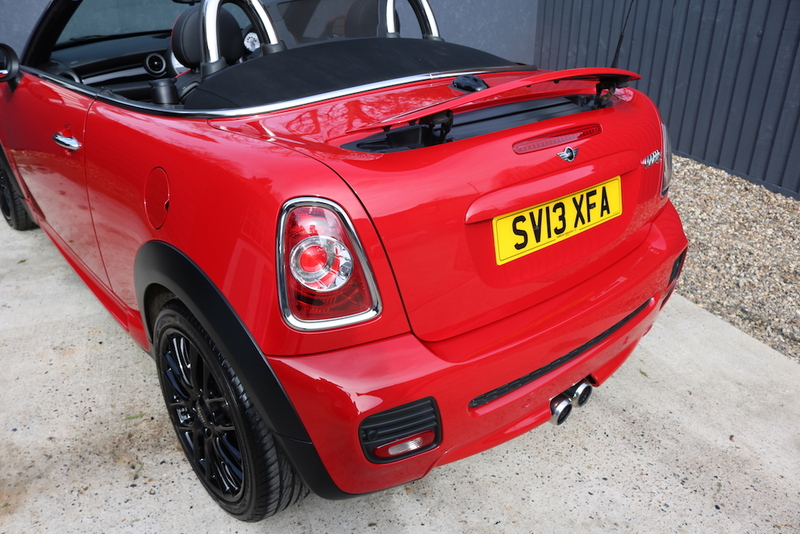 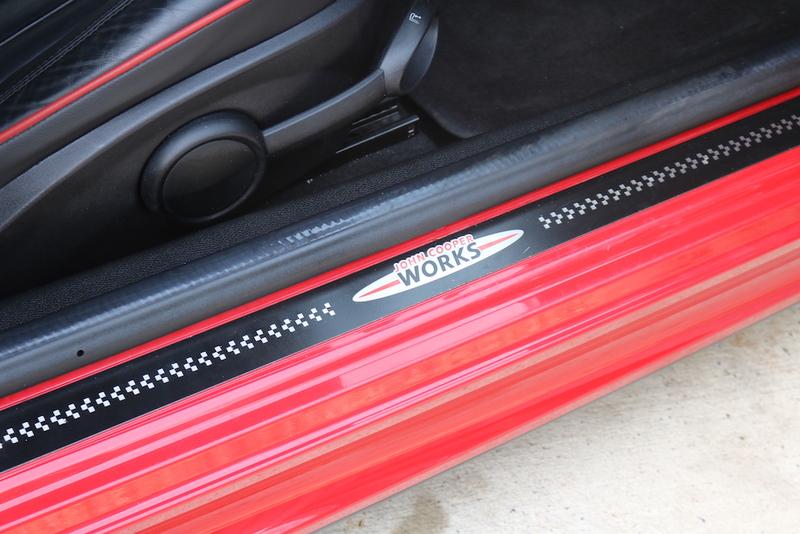 A wonderful opportunity to own this STUNNING Mini Cooper S roadster fitted with a factory John Cooper Works kit. 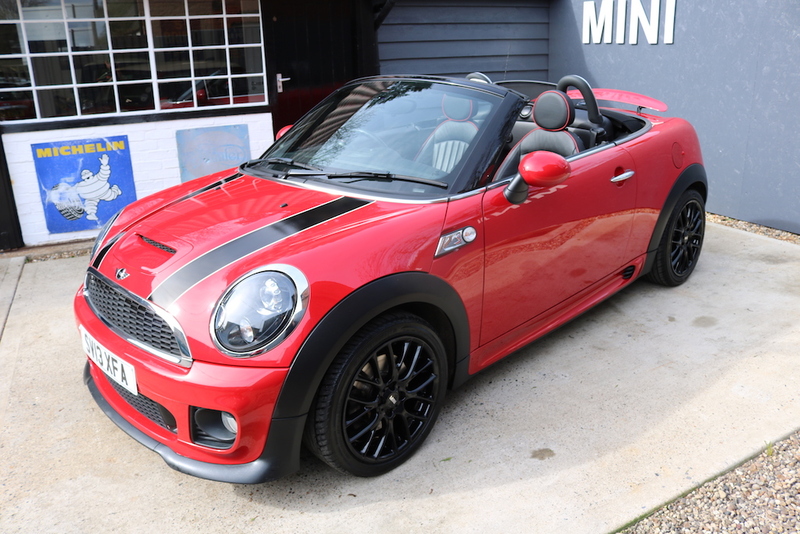 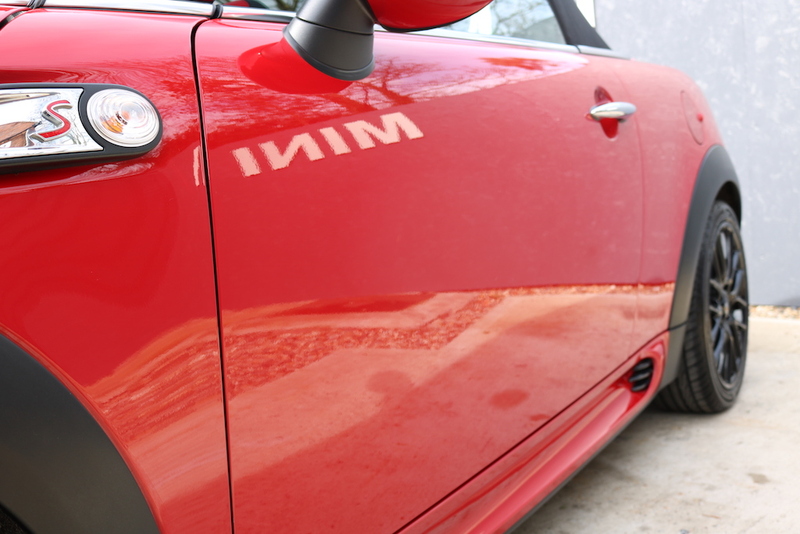 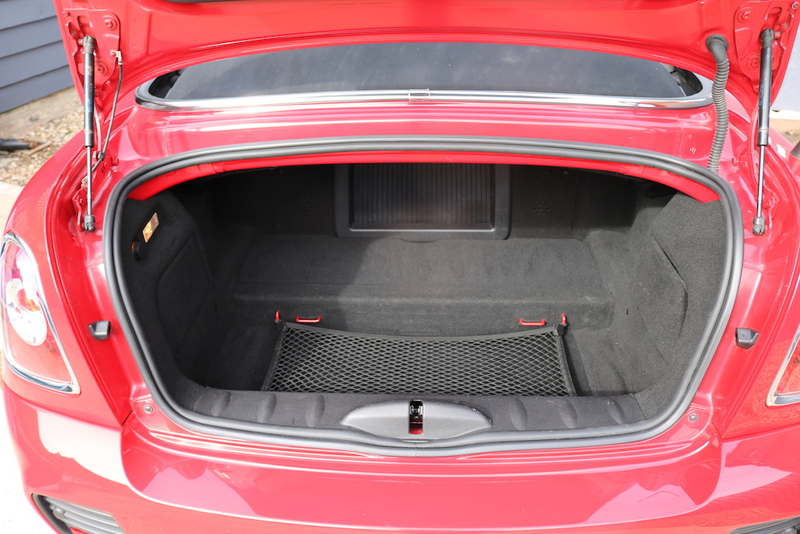 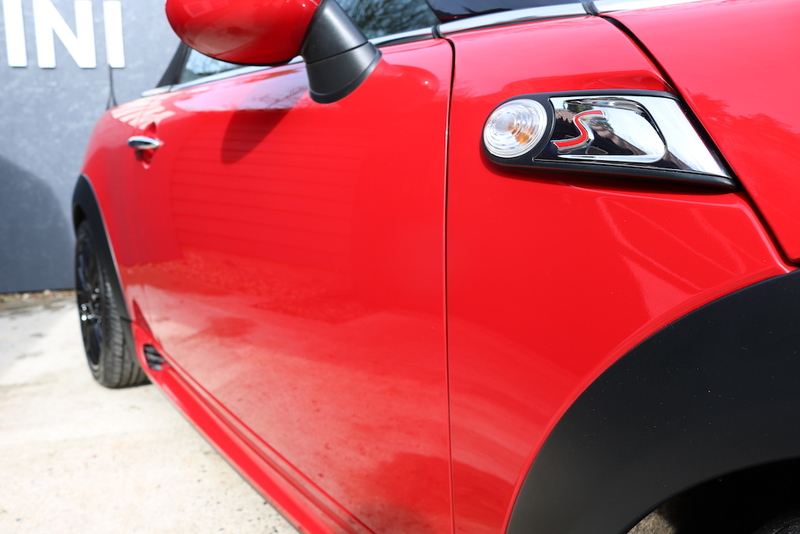 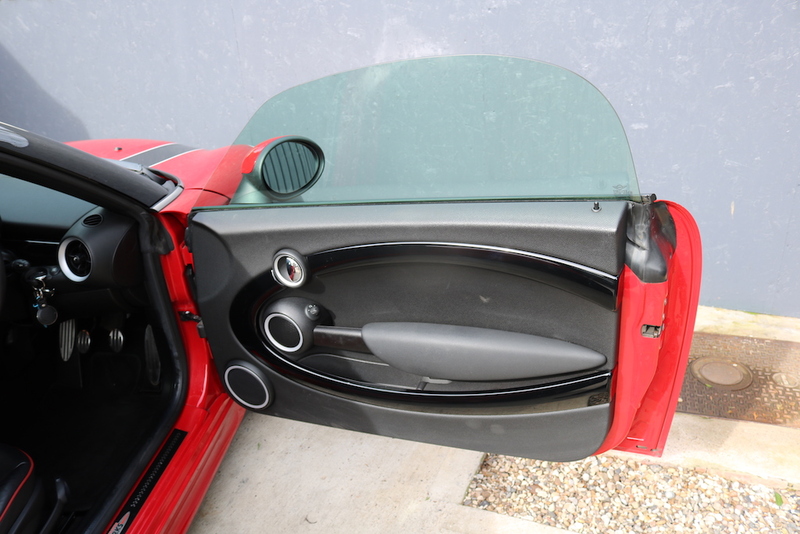 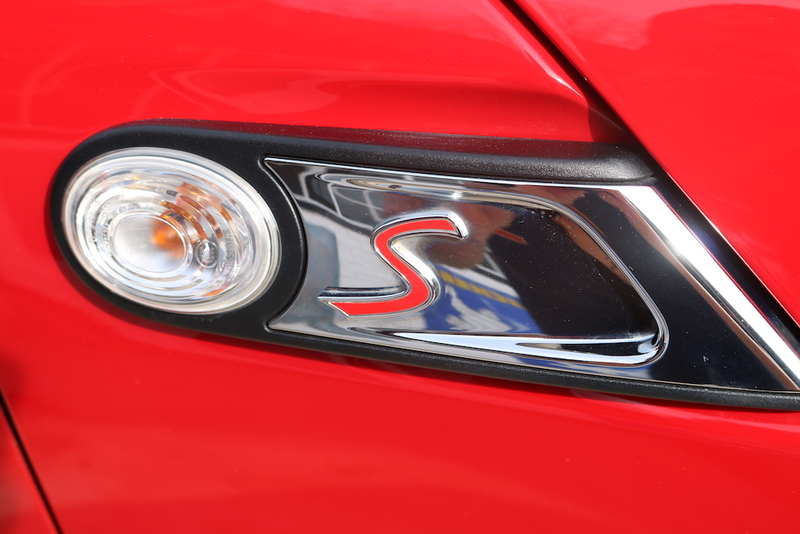 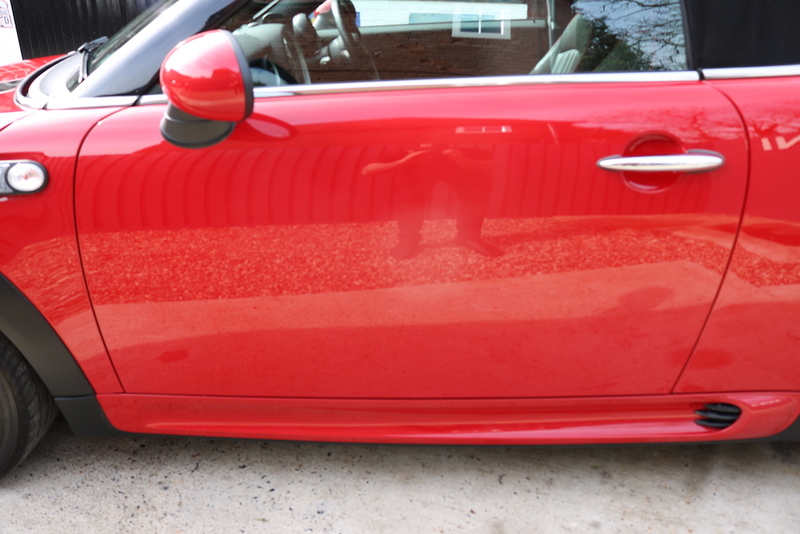 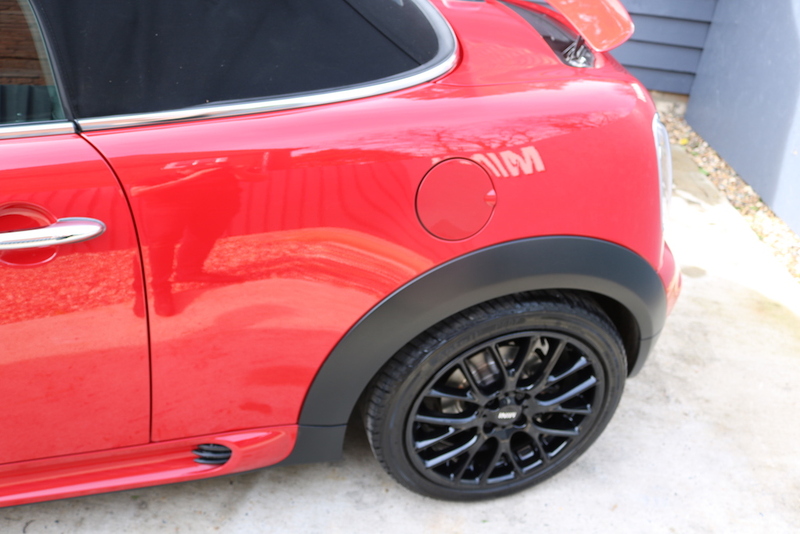 Finished in Chili Red with black bonnet stripes. 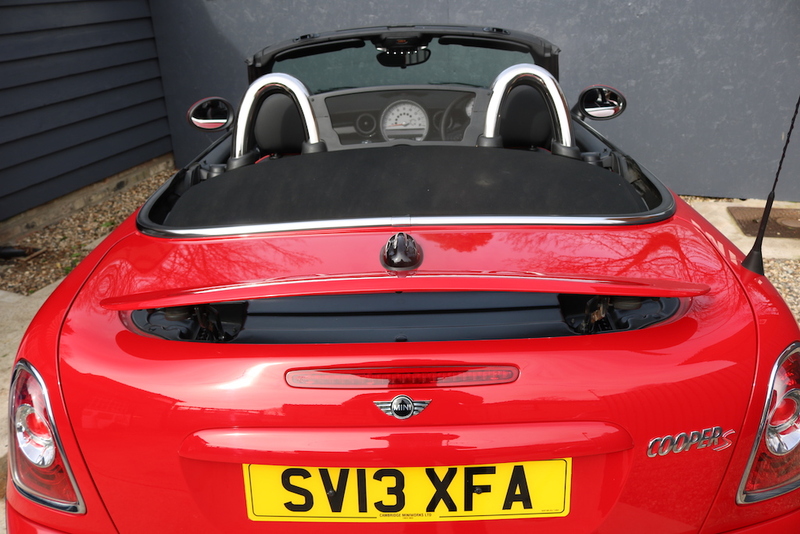 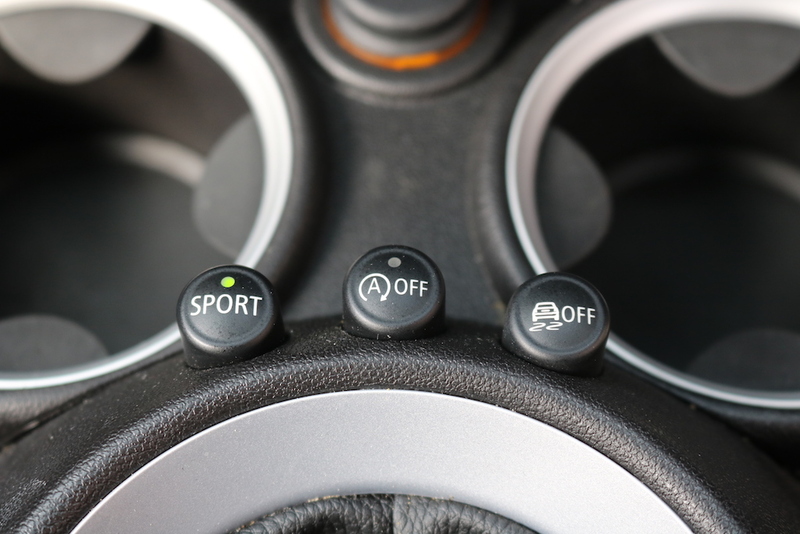 Two owners from new with full history & two sets of keys. 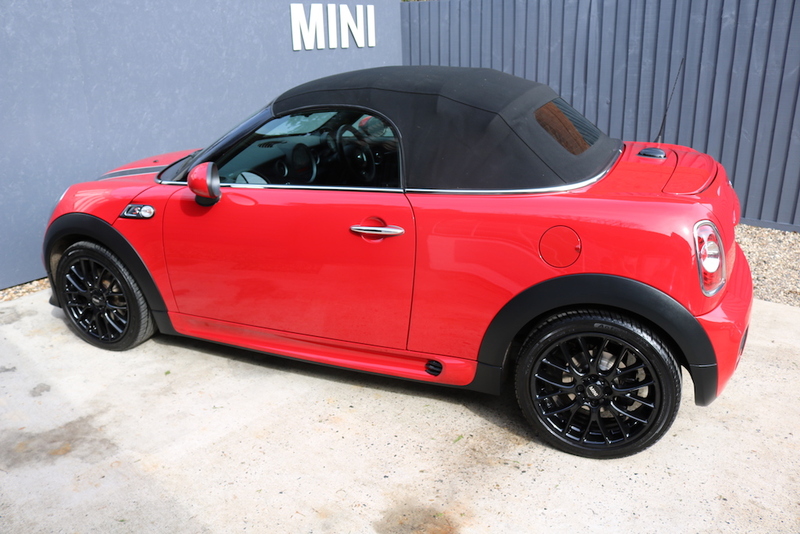 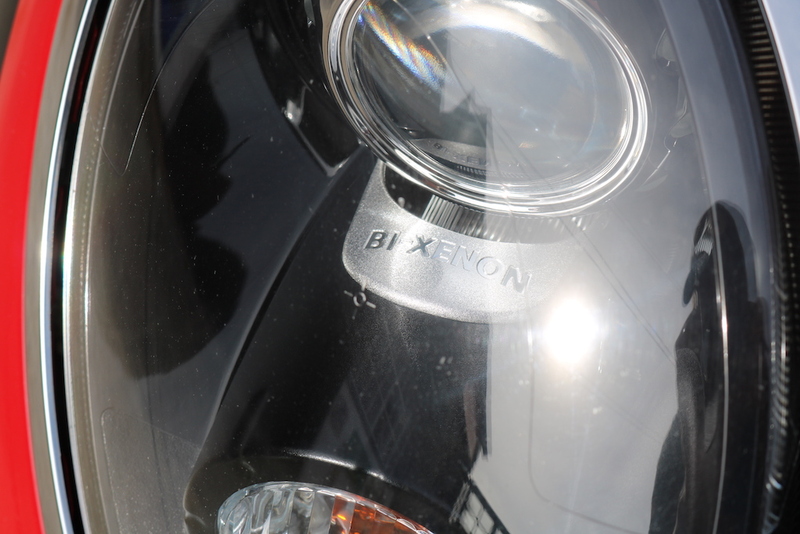 Fully serviced with 12 months Mot. 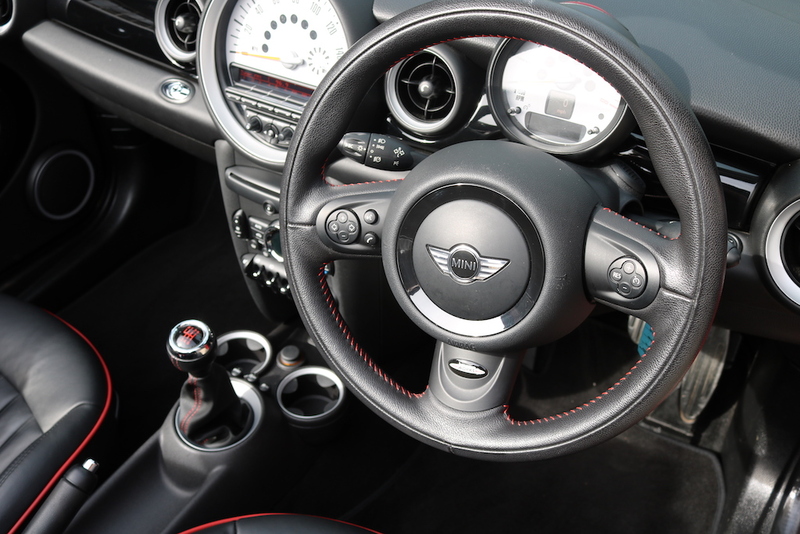 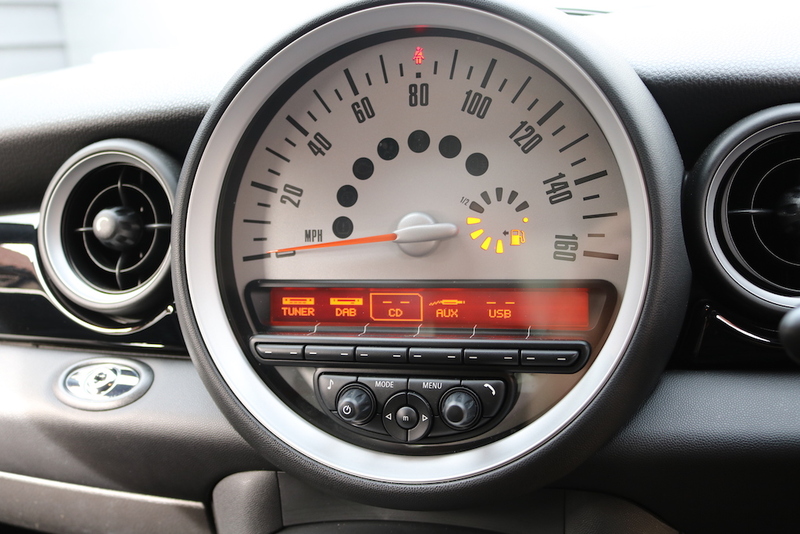 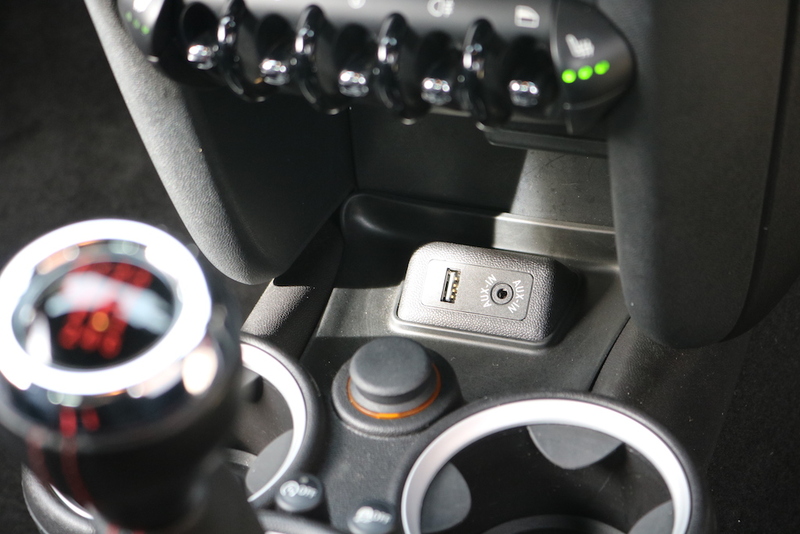 Extras include, JCW sports kit-Chilli pack-Media-Bi xenon head lights-Bluetooth-Multi Function Steering Wheel-Dimming Interior Rear View Mirror-Passenger Seat Height Adjustment- Colour Line – Front Fog Lights-Rain Sensors-Automatic Lights-On Air Conditioning – Automatic On-Board Computer Interior Lights Pack-DAB tuner-MINI Boost CD Music interface for Smartphone-Alloy Wheels (17in) Computer Electric Windows (Front) Hill Holder In Car Entertainment (Radio/CD) Tyre Pressure Control-Heated lather lounge seats. 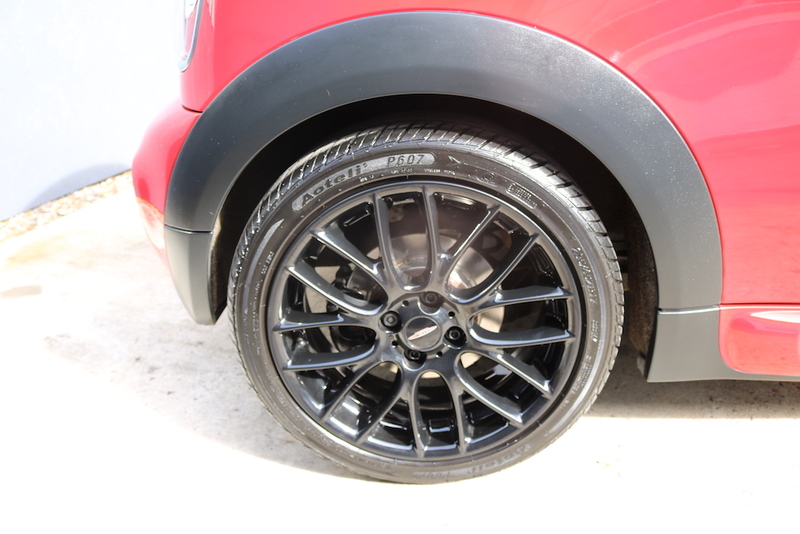 The wheels have just been refurbished with new brakes all round.